Artist Vijay Shrimali is meticulous and highly realistic in his painting style. He believes in paying attention to every detail in his paintings, portraying them ‘without adulteration’, just as he perceives them. His solo exhibition ‘Riyaaz’ is on display at the Gufa till May 27. In an era where most artists express their perceptions through abstract art forms, realist artist Shrimali holds a very different outlook. “I want to depict focused and highly detailed subjects in my paintings. I want to reflect them the way I perceive them, real-time. Without adulteration,” he explained. 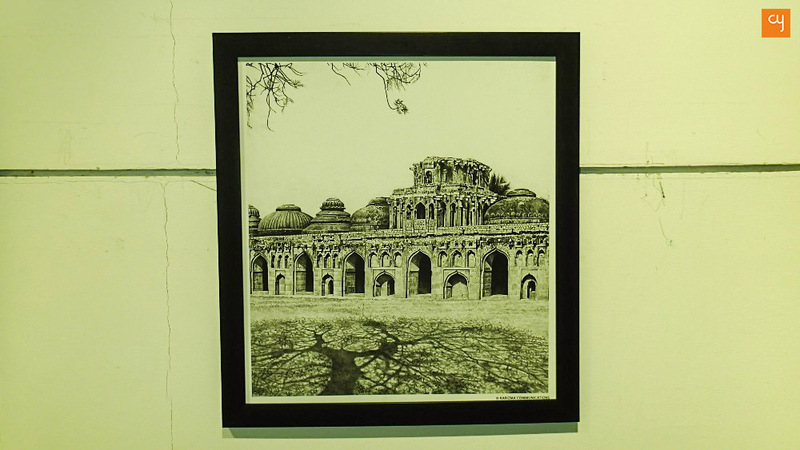 Shrimali’s scientifically drawn wildlife illustrations and fine sketches of heritage sites are so detailed that they will convince your mind to perceive them as photographs. Artist Vijay Shrimali has been so engrossed in his art practice that he has only managed to execute three solo exhibitions in the last 34 years of his career. 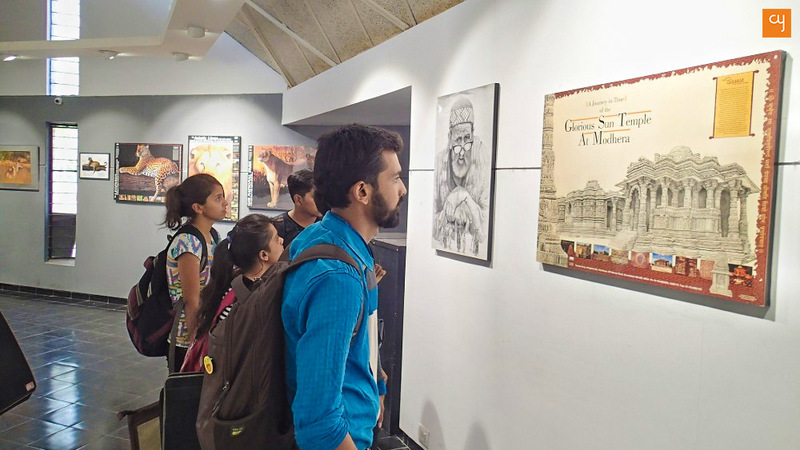 The opening of his third solo show Riyaaz, on May 22 at Amdavad Ni Gufa, which has on display 40 profoundly realistic artworks, attracted a flock of young students who had come in search of artistic inspiration. Inaugurated in the presence of senior graphic designers Dhun Karkaria and Nilesh Dave, Shrimali invited his contemporaries, friends and family to grace the event with their presence. 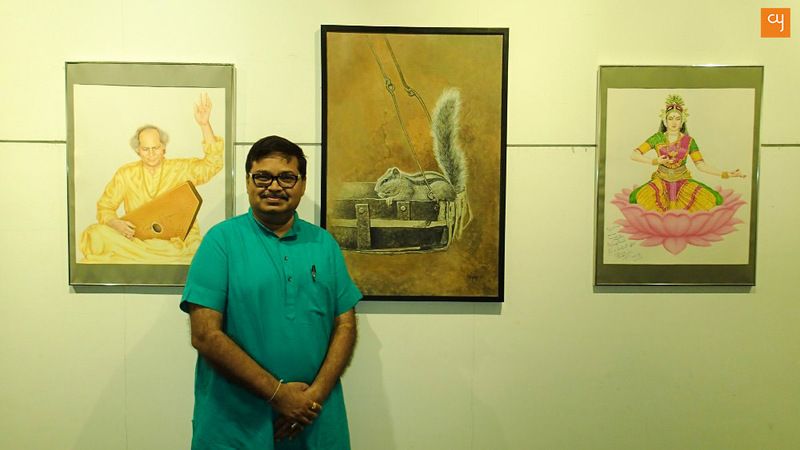 A local creator of Ahmedabad, Shrimali graduated from Sheth CN College of Fine Arts in 1984 and worked at Centre for Environment Education as a wildlife artist for 14 years. As a wildlife painter, he professionally painted scientific illustrations before becoming an independent artist. Senior artists like Kanaiyalal Yadav, Natu Parikh and Nagji Patel have played a significant role in shaping his aesthetics. Shrimali’s paintings of wildlife, human figures and heritage sites are made using various mediums like pencil, charcoal, acrylic, pastel, watercolours, pen, etc. His commercial works made for Saptak in 1999 are painstakingly detailed, reflecting the personality of various musicians through their physical expressions. Santoor player Pandit Shiv Kumar Sharma‘s calm nature is evident from the tranquil expressions on his face. Explaining his process, Shrimali shared with us that he usually photographs his subjects and their specific elements multiple times before proceeding to sketch them on paper. 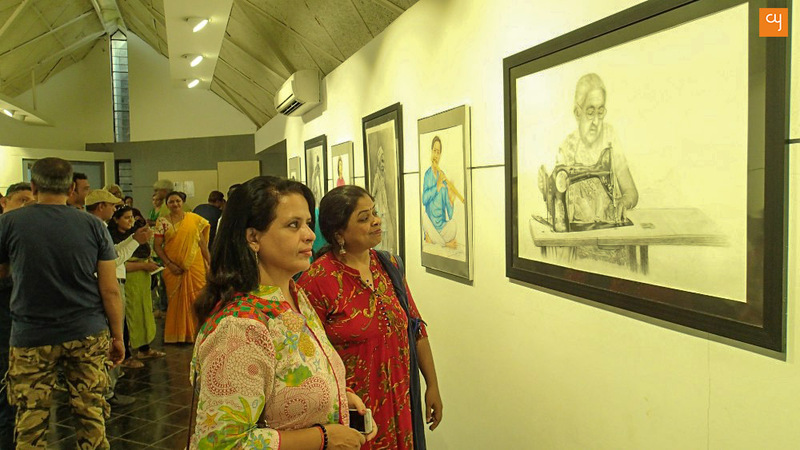 Shrimali has also exhibited a few quickly made sketches, which he drew on newspapers while sipping his morning tea. One newspaper’s Classifieds page has the figure of an unemployed middle-aged man drawn on it, while a Back-to-School advertisement for a stationery brand has on it a stirring sketch of a child labourer. 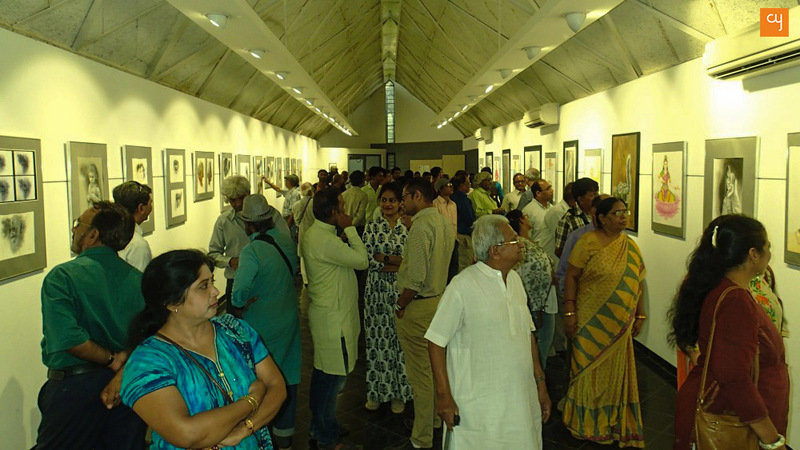 It is after a long time that the city has witnessed a realist art exhibition by a solo artist. The show will remain open to all, every day from 04:00 PM to 08:00 PM until May 27, and Shrimali will be demonstrating his painting skills live every day at 06:00 PM.